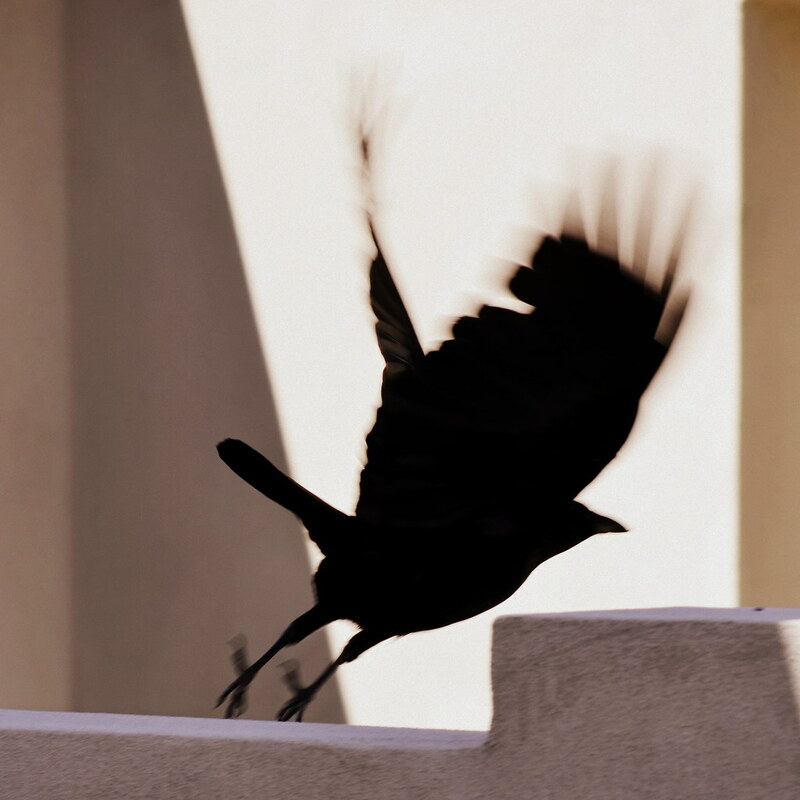 When I saw the theme of this week’s photo challenge–Motion–I immediately thought of this photo of a bird in silhouette, at just the moment it was taking flight. I happened upon the bird unexpectedly and managed to take only one photo before it flew off. I’m still not sure what type of bird it even was. But I like that this photo captures that split second before the bird became airborne. 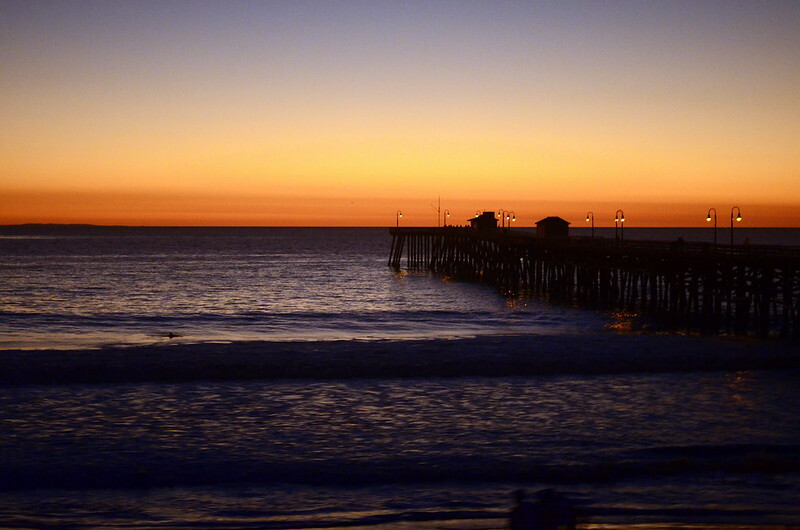 Sunset at San Clemente Pier, California–a brief moment between day and night. 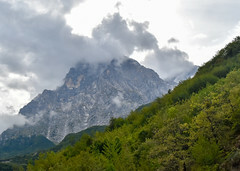 Photo taken through train window–a transparent barrier between photographer and scene. 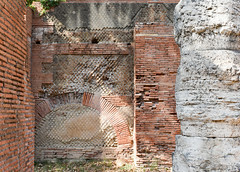 This week, the challenge is for a photo with something extra–an unexpected detail. This photo was an experiment. 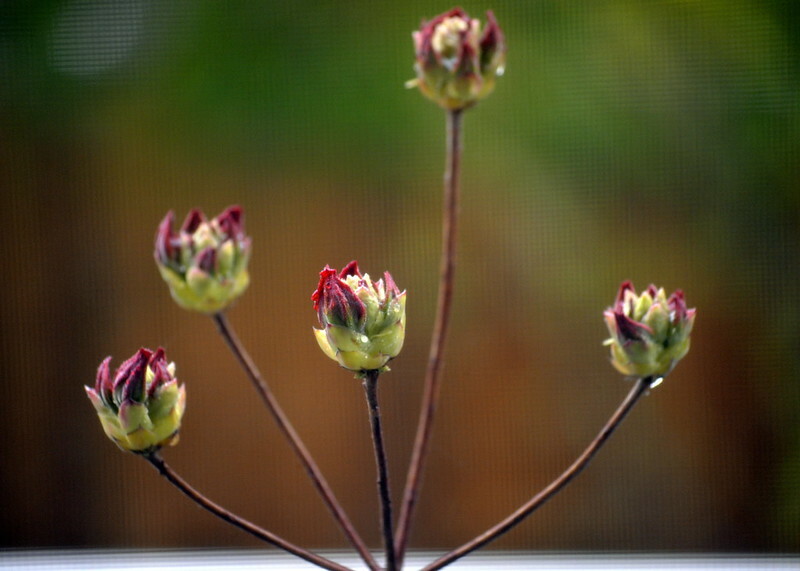 I was sitting in our living room on a rainy morning earlier this spring, looking out at our deciduous azaleas and wondering what would happen if I took a photo of them through the window screen. Here is the result. The “something extra” is the pattern of the screen in the background (or is it the foreground?). 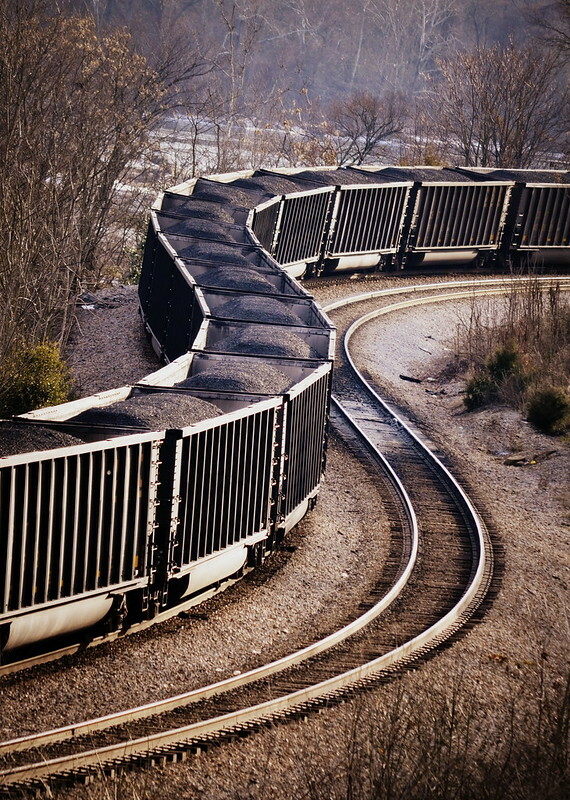 For this challenge, I choose the letter “s” in the form of coal cars stopped on the railroad tracks below Hollywood Cemetery in Richmond, Virginia. The curve of the cars mirrors the curve of the track to the right, creating a long, lazy, and unexpectedly sensual metallic double “s.” Where it will lead the viewer is a mystery. The last time the weekly photo challenge was “Inside,” I ended up with a red pepper on my lap. This time, I was aiming for something more symbolic. Having spent all day yesterday inside (thanks to yet another snow storm), the theme of “inside, looking out” seemed apt. But inspiration failed to strike. So I instead turned to a photo from last summer, a hard-to-imagine time of warm weather and color in a garden humming with life. My choice is therefore symbolic of a deep yearning to be done with winter…. 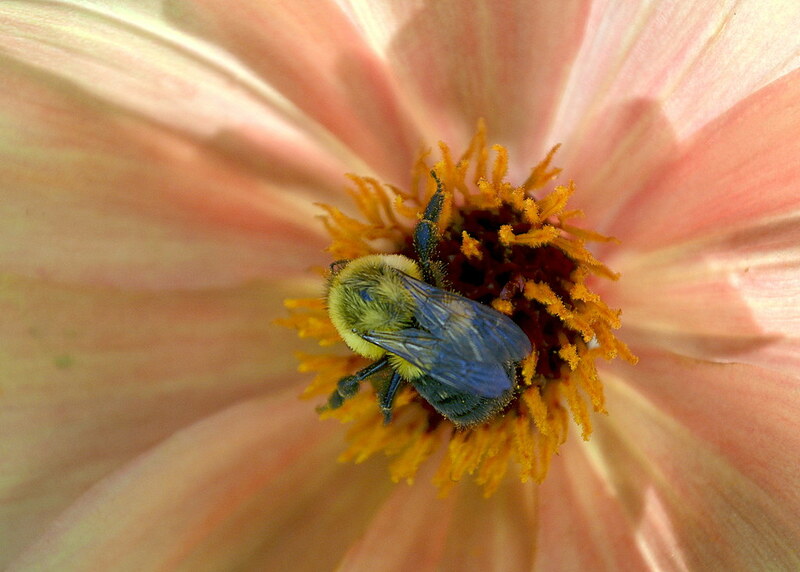 According to this week’s challenge, “So much of life happens inside something.” And that is never more true than when it comes to bees and flowers, partners in an intricate, reproductive dance that takes place inside the flower. 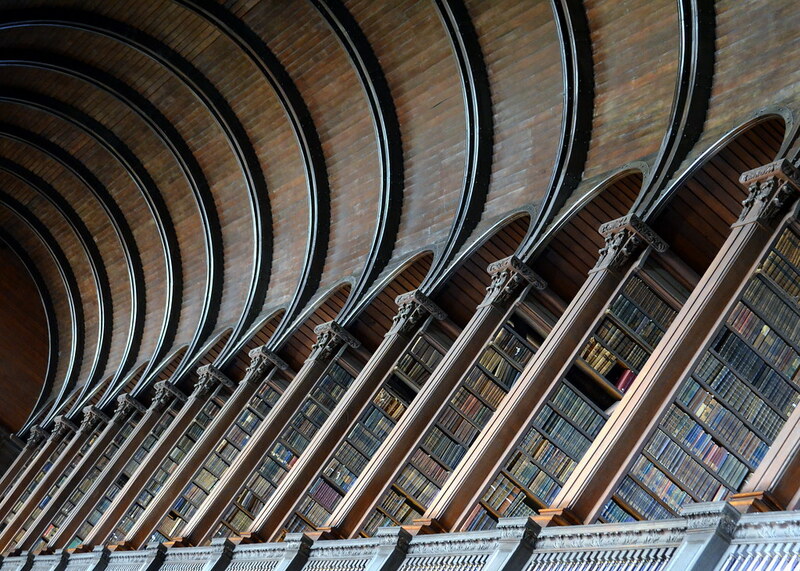 When I saw this challenge, I immediately thought of the Long Room at Trinity College Library in Dublin. 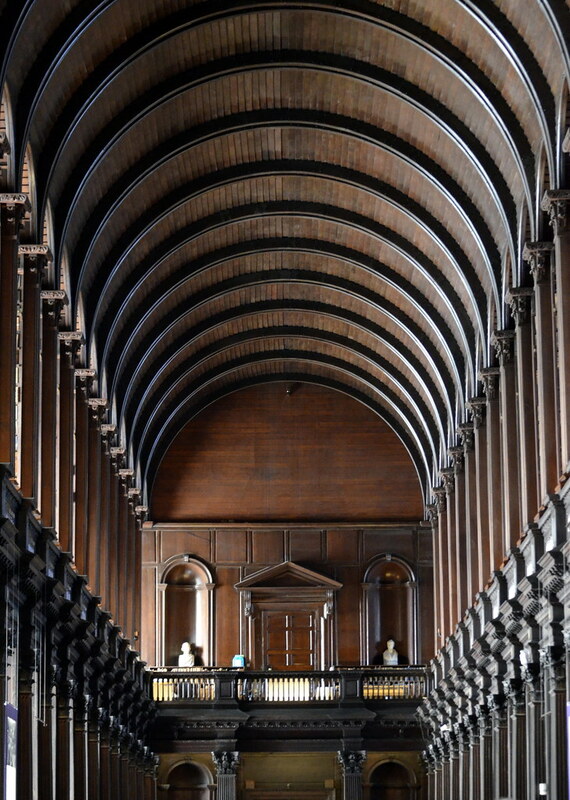 It is a beautiful space, more than 200 ft long (hence the name). 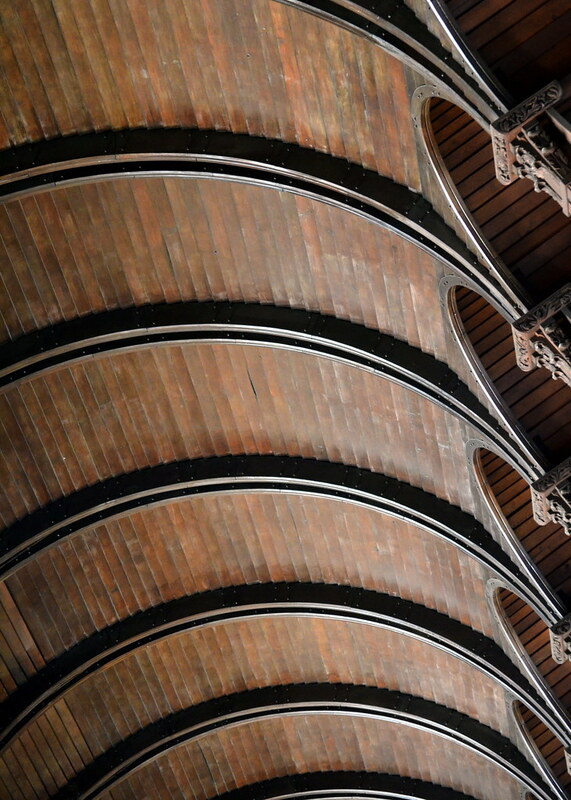 The high, barrel-vaulted wooden ceiling is truly awe inspiring, curving gracefully downward to the second-floor galleries holding some of the library’s oldest books. Standing in the room, your perspective changes completely depending on whether you are looking straight ahead, straight up, or tilting your head from side to side. This photo is of something I was not expecting. 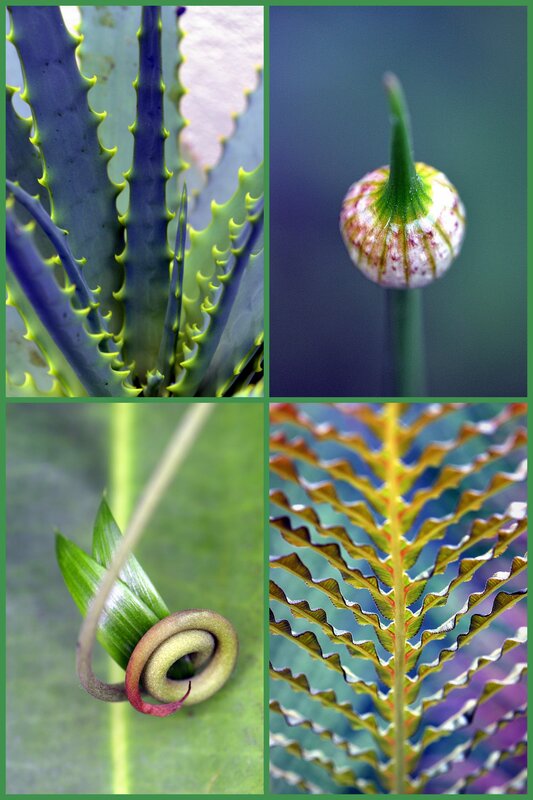 During my recent trip to Rwanda, this gorgeous leaf formation caught my eye. I had never seen anything quite like it. It was a striking burst of color on an otherwise fairly bare branch. When I asked someone what it was, I was surprised to discover that it was a poinsettia, and that poinsettias can grow into small trees up to about 10 feet in height. I had no idea, because to my untrained eye this looks nothing like the potted poinsettias that abound at Christmastime (except perhaps for the red leaves). I’ll take the tree! So an unexpected encounter led to an unexpected discovery — and I couldn’t be more delighted. 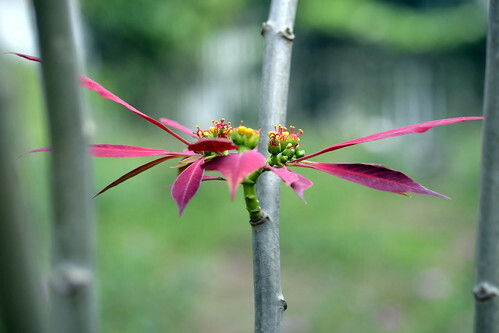 The red leaves are called brachts; the actual poinsettia flowers are tiny and yellow. 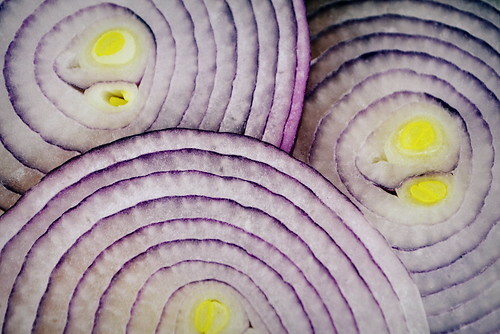 This week’s theme is “layers,” and of course, my thoughts turned to food–and specifically to onions, whose layers have been the subject of many quotes, mostly about hidden depths and weeping. In my case, I’d be weeping if I didn’t have any onions around. I realize it is probably quite shallow to only think of my stomach in lieu of other, more profound (or perhaps more pungent) observations about this revered member of the allium genus. But here’s something. The red onion I cut open today had a particularly striking and almost glowing yellow core, so Cyrano de Bergerac’s philosophical musings struck a chord: “And in the Onion, the Germ is the little Sun of that little World, which vivifies and nourishes the vegetative Salt of that little mass.” As the onion itself adds life to so many dishes. I can’t imagine my kitchen without it. This week’s photo challenge is “infinite.” When we were children, my brother and I used to like seeing images within images within images. If we passed by a storefront displaying such an infinite progression of the same thing (say, a poster of a clown holding a poster that showed the same clown holding a poster that showed the same clown yet again), we would always stop and stare, marveling at how the image could go on forever, perhaps even beyond the point where it was visible to the naked eye. If we couldn’t see it, was it still there? This photo doesn’t portray an image within an image, but it somehow says “infinite” to me. 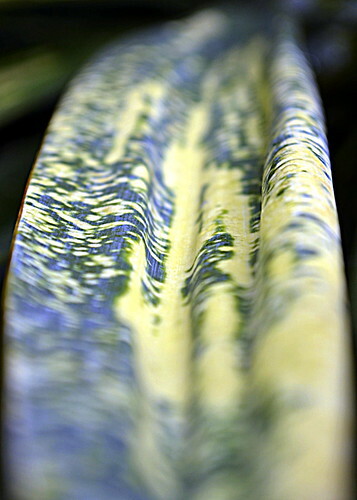 It’s a long look down the length of a variegated yucca leaf. But because the top and bottom portions are out of focus, with only the middle defined, there doesn’t appear to be any clear beginning or end. The leaf seems suspended in infinity, with the grooves pointing the way to parts unknown.